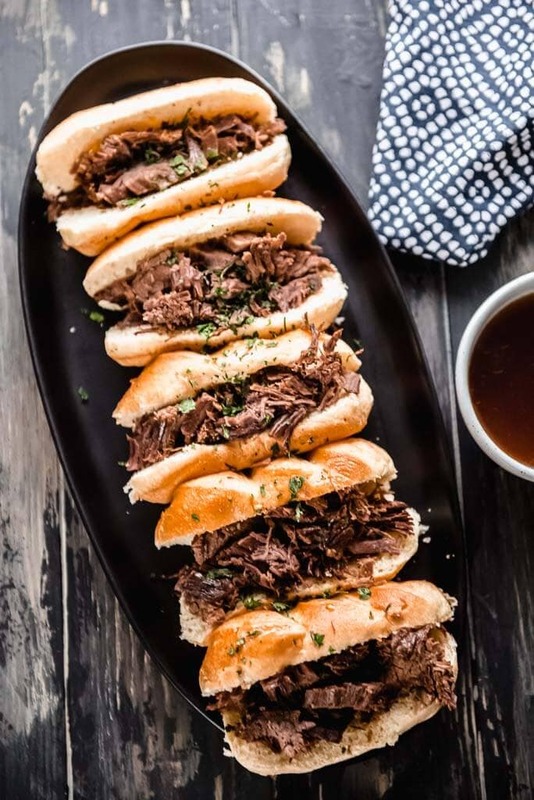 If you are looking for a simplified version of my original French dip sandwich recipe, look no further than these Instant Pot French Dip Sliders! Put that pressure cooker to good use with a meal your family will devour! I know many of you here have been pressure cooking for a while, did anybody just recently get an Instant Pot or other pressure cooker on sale or as a gift this holiday season? It honestly took me awhile to get the hang of mine, but now that I’ve been using it for a couple of years I’ve really come to rely on it often. While I usually prefer the feeling of having my meal in the slow cooker in the morning with little to no work to do around dinner time, that isn’t always reality. So, my Instant Pot often saves the day by taking similar meals and cooking them up faster. 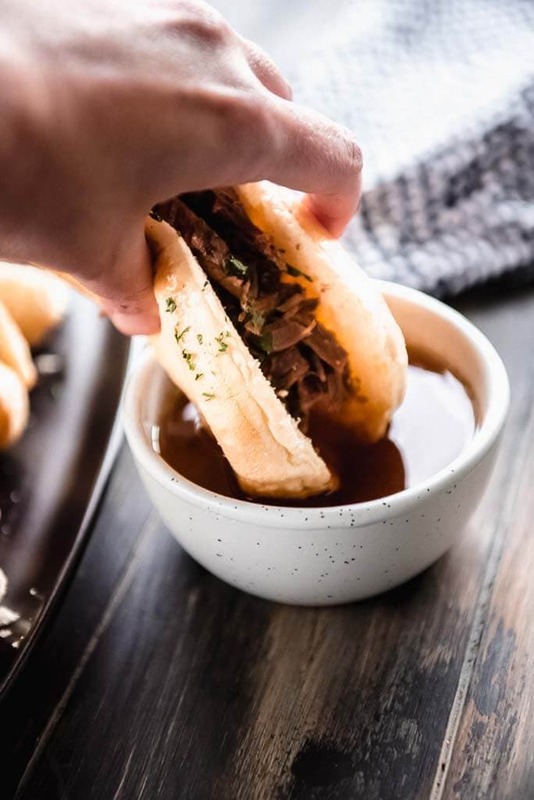 My kids love French dip sandwiches, so I simplified my original recipe so that I could throw everything in quickly and still get dinner on the table with minimal stress. 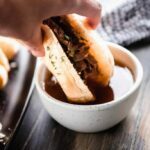 These Instant Pot French Dip sandwiches may not be “authentic” but I can tell you they are delicious and family approved! 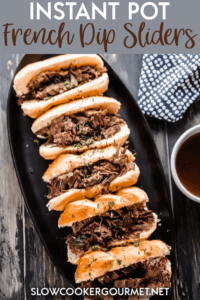 Which cut of beef is best for French Dip? If you are making a technically “correct” French dip then you would want a roast beef cooked medium and very thinly sliced. But, we are going more practical here, so what’s important is to find a lean cut of meat that will cook up fork tender in the pressure cooker. 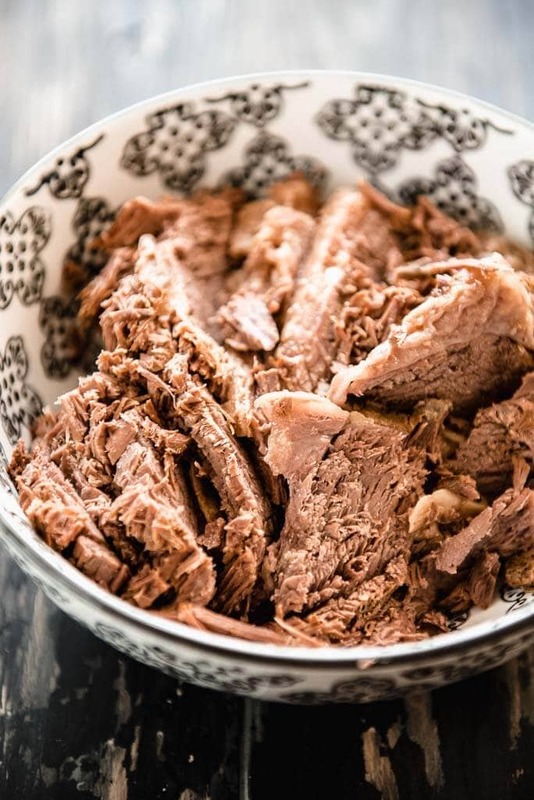 I used a rump roast and you could actually slice it very thin if desired, but we don’t have a lot of time for messing around at our house when it comes to dinner so we just shred it and go. 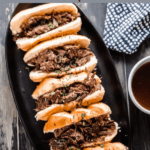 What comes on a French Dip? 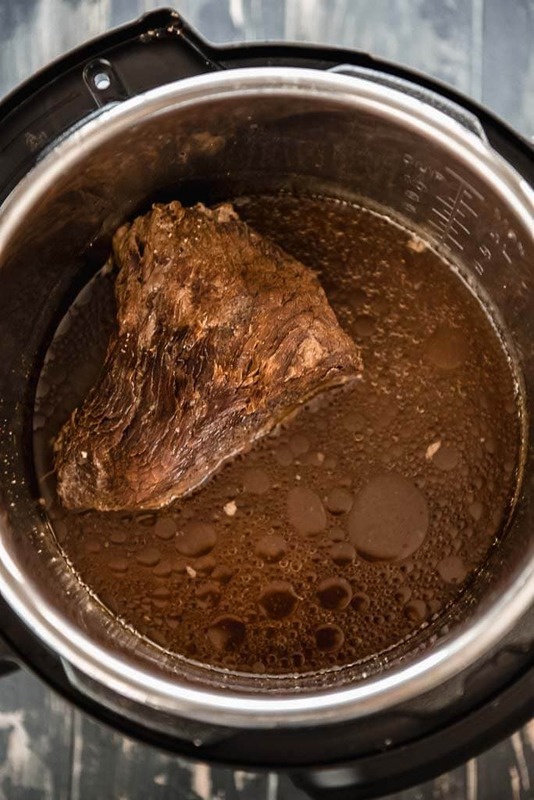 And of course… ladle out some of the au jus (pan juice) for delicious dipping! Grab your Instant Pot and get this 3 ingredient dinner on the table tonight! Can this be done in a slow cooker? If yes, how long should I leave it in for? I have got to get an instapot! Delicious sandwich!! I’d be honored if you shared it at our What’s for Dinner recipe party on the Lazy Gastronome! Cool and thanks. I may just be trying to justify the expense of a new mixer that matches my new kitchen!!! Looks and sounds tasty. My question is: can you shred the cooked meat with your mixer like you can cooked chicken breasts? Yes, you could do that if you wanted it more finely shredded.